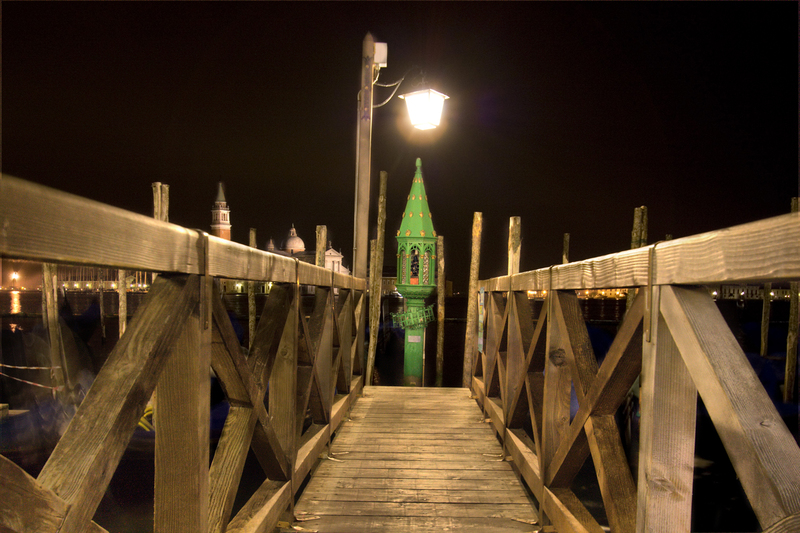 An HDR of the light at the gondolas in Venice, taken from the edge of St. Marco square, looking over the water. The photo is an HDR of 3 RAW files, processed in Dynamic Photo HDR Version 5, then over layered with the middle exposure of the original files to reduce noise in the sky and dark sections. The ghost image on the left is a gondola rocking on the water. The front decoration of the gondola got caught in the light a little weird.